If you are preparing to go through a divorce in Maryland, you may find it a bit upsetting to learn that you will not likely be able to get your divorce finalized for up to a year. This is due to Maryland divorce laws that require you to either allege grounds for divorce or get divorced based on irreconcilable differences. Most people choose the latter, which carries a requirement that a couple live separate and apart for at least one year. 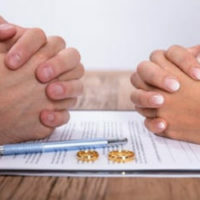 With this in mind, the most important document in your separation is your separation agreement, which will outline and set forth many of the rights and responsibilities during this one-year period, while you wait for your “absolute” divorce to be finalized. #1 – Who takes care of the children? If you are married and have children together, the very most important feature of a separation agreement is the provision for the care, support and custody of minor children. This is generally one of the most hotly disputed and contested issues in most divorces, but it is important to carefully ensure that the separation agreement contains provisions for minor children that are agreeable, because you will be living with this agreement for at least a year. In all reality, judges tend to keep things much like they are during a separation, as they prefer to keep things status quo for the kids. So, your temporary agreement could easily become permanent. Best consider your choices carefully during negotiations now. #2 – Spousal support, if applicable. If there is to be any declaration of spousal support, now is the time to hash it out and get it in writing. Maryland law is much fairer than many people expect. But ultimately, the court’s goal is to treat divorcing couples equitably. Therefore, it is not a harsh 50/50 equation. Rather, the court will look at the totality of the circumstances in deciding these matters. So, keep this in mind when forming your separation agreement. It may seem weird to discuss insurance, but it’s a big issue. Does one of you have better health benefits? Would it make sense to continue covering the person under your plan in exchange for an offset of support payments temporarily, in order to give your soon-to-be ex-spouse more time to get continuation benefits? What about life insurance and auto insurance? How long will you each have to update and change those? Who is responsible for carrying health coverage for the children? Finally, perhaps the biggest fear a lot of couples have is giving up their money. But there needs to be some clear provision about how property will be divided before, during, and after divorce. While not everything needs to be decided upfront, many things will need to be put in the agreement, especially who will be living in the marital home. For help with your separation agreement in Maryland, call the Law Offices of Todd K. Mohink, P.A. today, and get the help you need now.